Place diced tomatoes, beef bouillon cubes, sugar, salt, onion powder, bay leaf, basil and white pepper in a pot. Cook over high heat until mixture comes to a boil, stirring occasionally. Reduce heat to a simmer. Simmer uncovered for 30 minutes. Pour mixture through a mesh sieve and set aside. In large saucepan melt the butter over medium-high heat, stirring constantly. Whisk in flour until smooth. Reduce heat to low and carefully stir in tomato mixture until smooth and heated through. 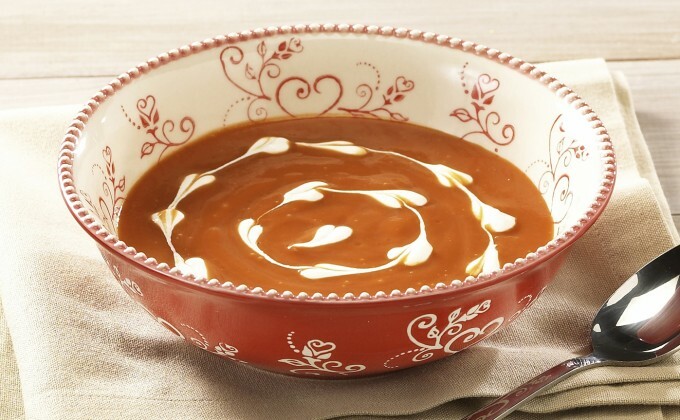 Pour into your 3.5 quart temp-tations® soup tureen. Keep covered until ready to serve.